The poll, commissioned by 10:10 Climate Action, found that 71% of the 1,612 respondents want the UK government to reflect a proposed new EU law. This will require all member countries to guarantee citizens receive compensation, which reflects the market value, for any surplus renewable electricity they produce that they give to their national grid for use by others. Included within this group is 69% of Leave voters, which made up over half of the polling group, which in its entirety saw a significant majority (80%) support the deployment of solar as an alternative to non-renewables; just 2% opposed. Neil Jones, campaigner at 10:10 Climate Action, said: “Anyone can see scrapping the export tariff for what it is - quite literally daylight robbery. Just as Europe looks to protect its rooftop solar producers, our ministers are expecting households and businesses to give clean energy away for free to corporate energy companies. The results come following months of pressure on the government to remove the export tariff currently paid to generators at the same time as the feed-in tariff closure at the end of March 2019. This would result in power being given freely into the grid without energy companies having to pay for this generation, something the Solar Trade Association has previously described as almost a form of subsidy to those companies, many of whom continue to generate the majority of their supply from fossil fuels. Alan Whitehead, Labour’s shadow minister for energy and climate change, said: “Removing the export tariff while keeping everything else the same means households and schools giving away their energy to energy supply companies to profit from. This is simply unfair, and would hold back the rollout of solar energy. 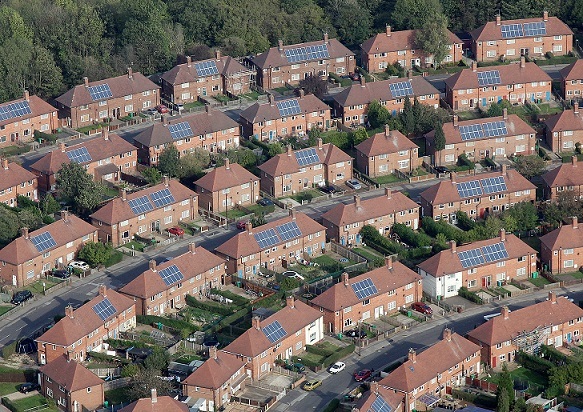 The YouGov survey also found strong support for solar subsidies to be available to low-income homes (71%), schools (83%) and community organisations or housing associations (75%).